A restricted maiden auction stakes over 5f on good to firm ground. Eleven two-year-olds take part, three raced. Form horses often hold an advantage in races of this nature. Interesting to see Penalty Scorer has changed hands and now with Ontoawinner syndicate who I have known for some time. This daughter of Captain Gerrard is still in training with Richard Guest. She started in the Brocklesby when far from disgraced. This chestnut filly has quite good pace but limitations. She showed up well over course and distance but struggles to quite see out the distance. However, Penalty Scorer is likely to set the pace and could gain an uncontested lead. A horse who has a chance to hit the frame but probably struggle to win. Reet Petite was only just beaten by the above mentioned filly when making her debut. Michael Dods' horses have been in fine form and this daughter of Fast Company should improve a good deal for that first start. This bay was outpaced for most but rallied in the closing stages. That may have been due to inexperience although she could be slightly tapped for toe in the first few furlongs and finish with zeal. Could be bigger odds in-running but must have each way claims. The stable is represented by the debutnate Mecca's Mirage, a cheap yearling purchase at 6,500gns. The jockey booking suggests this is the second string, which slightly detracts, but a you can never rule out this stable and if touching speculative odds could be worth a punt. Richard Fahey is an excellent horse trainer and especially so with his debutantes. Few handlers come close to his exploits. 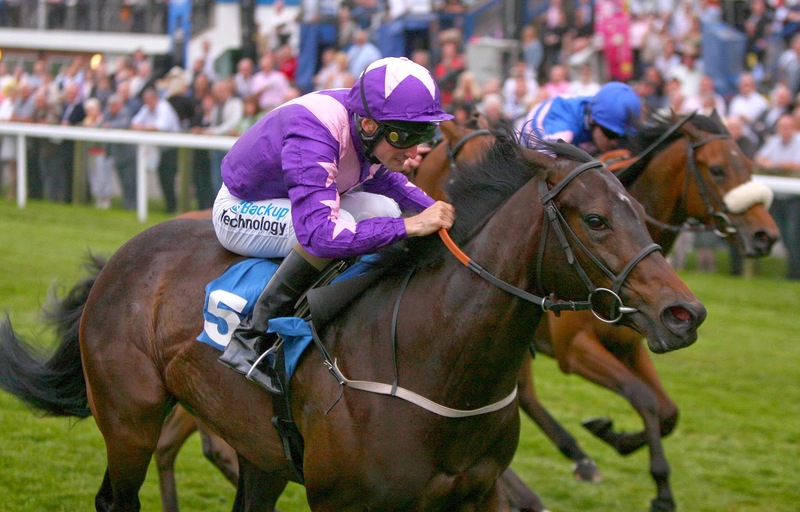 Bond's Girl was a cheap buy at 3,000gns but out of a talented Group-raced mare, who won on debut for Kevin Ryan. The stable have a very good win and place claims with juveniles priced 13/2 & less on their racecourse bow. Well drawn in stall two and a horse to respect. Magic Time hails from Ann Duffield's stable, their first two-year-old runner of the season. Their juveniles are difficult to assess on debut being somewhat hit and miss but they are capable of going well. Money is often a good sign for this yard and they have a fair strike rate at this course. Probably best watched unless priced 13/2 & less. Brian Ellison has a great association with Keith Brown and the classy Top Notch Tonto, who actually started his career at this course when trained by Ian McInnes. Make On Madam is a cheap yearling purchase at 5,500euros. A half-sister to Dangerous Age, this looks a fair buy. Ellison's debutantes usually need the run and best watched. Mini Minstrel cost £11,000 at the yearling sales. Interesting that the owner, Ms Sara Hattersley, purchase this horse at the sales. This stable is all about money and if backed to 13/2 & less has strong win and place claims. If weak in the market - wait for another day. Millar Rose is quite an interesting horse in this field, mainly because on racing silks, this filly is the first string for Ontoawinner syndicate, seemingly preferred to Penalty Scorer. It would take a brave person to guarantee that point with the Guest's juvenile having valuable race experience. Millar Rose was purchased by Karl Burke for 7,000euros. This stable is one of my favourites because they know what it takes to make a winner. If priced 10/1 & less this March foal has win and place claims. Esk valley Lady, Astrea & Debt Free Dame are best watched. Conclusion: The betting is important and will tell the story for most. Penalty Scorer & Reet Petite have vital race experience and in these low grade auction events form is often king. I can see Penalty Scorer making a bold bid from the front and could touch short odds in running. However, she does seem to struggle to finish her races and could well be prone to a finisher. Reet Petite looks to hold a big chance and sure to improve for that debut run. There is a slight concern she will be a little slow to find her stride, which would cause a problem. That may not be the case because that experience will liven up this strong filly. It is worth keeping in mind. I would be tempted to bet in running because if tardy over the first two furlong could touch bigger odds. I expect Michael Dods' runner to finish well but playing catch up can be a difficult game if too far behind. On balance I would give this horse the benefit of the doubt and fair win and place claims. Of the debutantes Mecca's Mirage is most probably second string but still could go well if speculative odds are available. Bond's Girl is certainly the most likely of those making her racecourse bow. If priced 13/2 & less has good win and place claims. Mini Minstrel should be noted in the betting. If priced 13/2 & less has very good claims and would be the bet. If weak in the betting - best watched. Millar Rose is one of the most interesting horses in this field and if priced 10/1 & less has good each way claims. In many respects I would stick with Reet Petite, but have slight concerns and would bet in running. Penalty Scorer looks a good back to lay. Bond's Girl, Millar Rose & Mini Minstrel have fair each way claims if in best betting guides.